Hi! 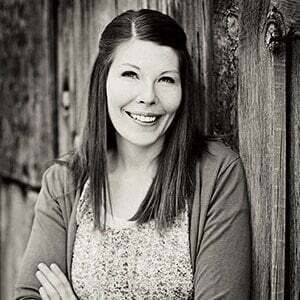 I’m Melissa, and I want to help you feed your family wholesome food. 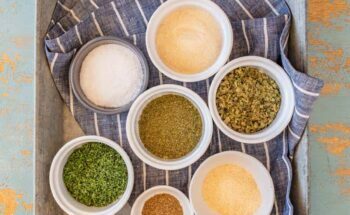 As a hobby farmer and mom of five, I’m all about keeping it simple in the kitchen. I want healthy meals that feed my family well, and then I want to get back to my (wonderfully messy) life. Let’s work together to find something yummy for your dinner table. Use the “Dinner,” “Side” and “Dessert” menus above each image to narrow your selection. Use the refresh icon on each image to see a different option. 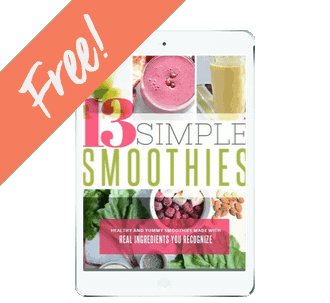 Forget the health food store, this book gets you a baker’s dozen of SIMPLE smoothie recipes you can make today. 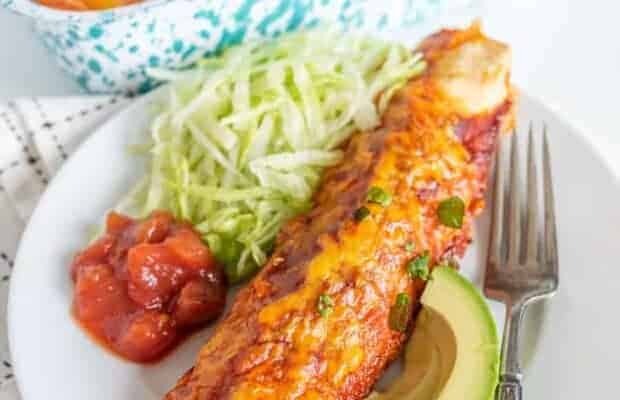 Let’s get dinner on the table! 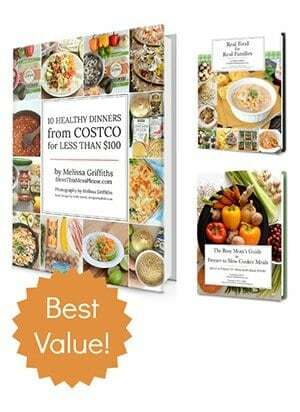 Buy the eBook on its own, or get more bang for your buck with the Gold package which includes all 3 of my cookbooks for one low price! 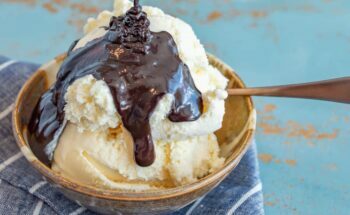 This is the cooking method that is going to make your life SO MUCH EASIER!!! 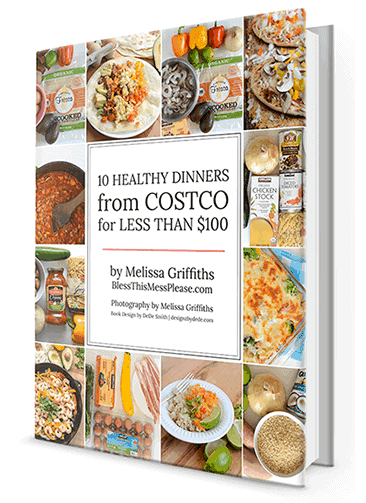 10 Healthy Dinners from Costco for Less Than $100! Dinnertime have you scrambling to get something on the table? 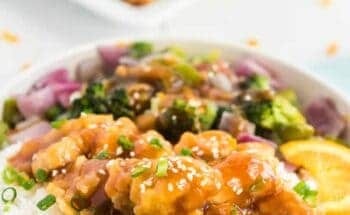 I wrote this ebook to make your life easier. 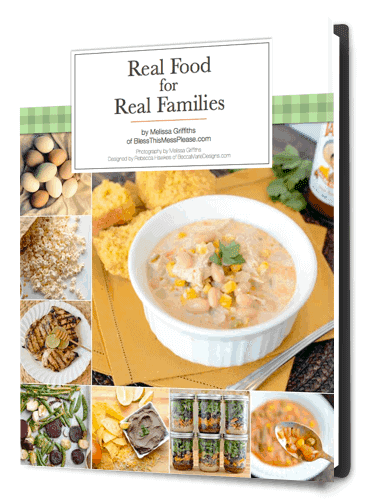 This book is all about getting your family to eat real food, no health store needed. 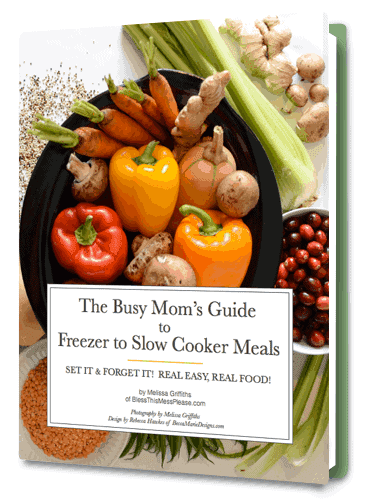 moms who are passionate about healthy, fast, and family-friendly food.